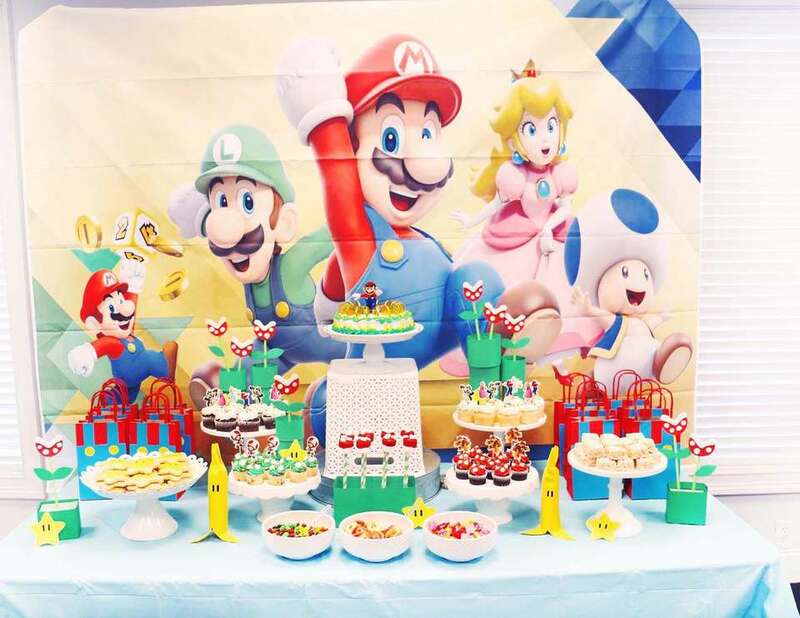 We had a colorful Super Mario Birthday Party for our Micah Man! He had a mash up of his favorite things- taekwondo, Mario, people and food! Living his best life breaking boards and slicing cakes with swords. As you do. Mario themed treats! We had a full dessert table for everyone to dive into- all Mario detailed desserts! Mario themed party bags (easy DIY) filled with Mario party favors, skittles and starbursts. Taekwondo activities and slicing the cake with a sword!